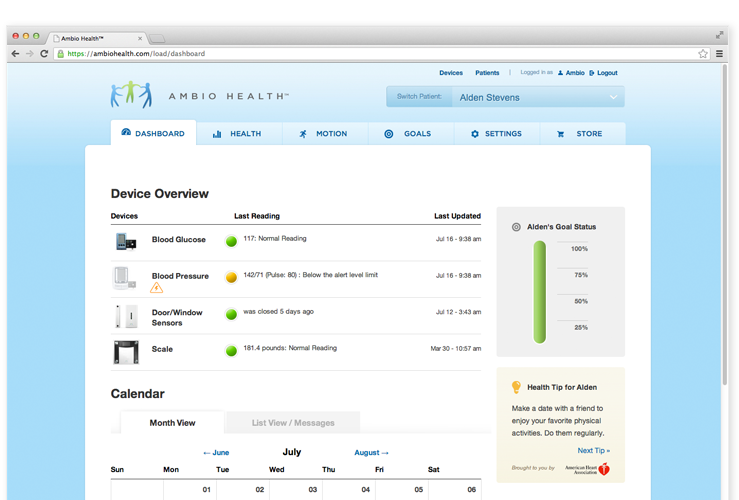 Ambio is an affordable and easy to use wireless remote health and activity monitoring system. It enables you to take health readings at home and get support from loved ones and caregivers who may not be able to visit every day. 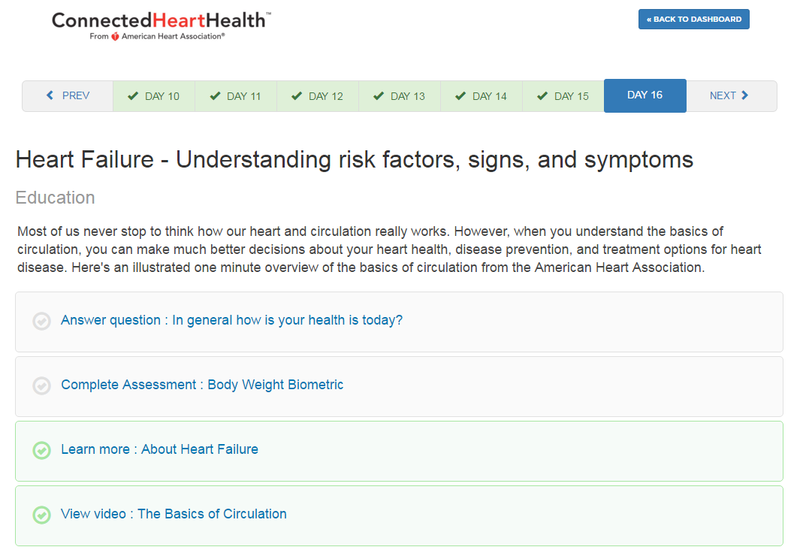 Patient education, biometric and symptom assessments, clinical decision support designed to significantly increase patient engagement, compliance, empowerment, health literacy, self-management, and healthy living. 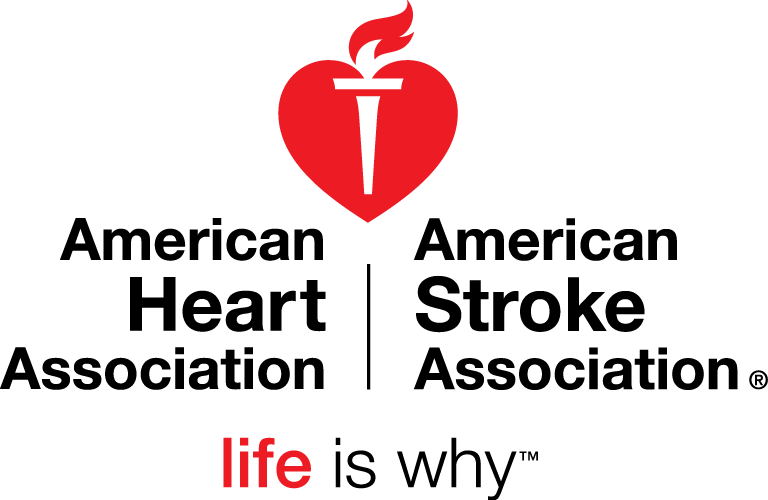 Scalable in addressing the needs of complex care patient populations. Ambio is a simple, wireless system that helps you track blood glucose, blood pressure, and weight and connects patients with their health care providers and loved ones to help keep them healthy and safe. Ambio helps you feel more secure about aging in place. 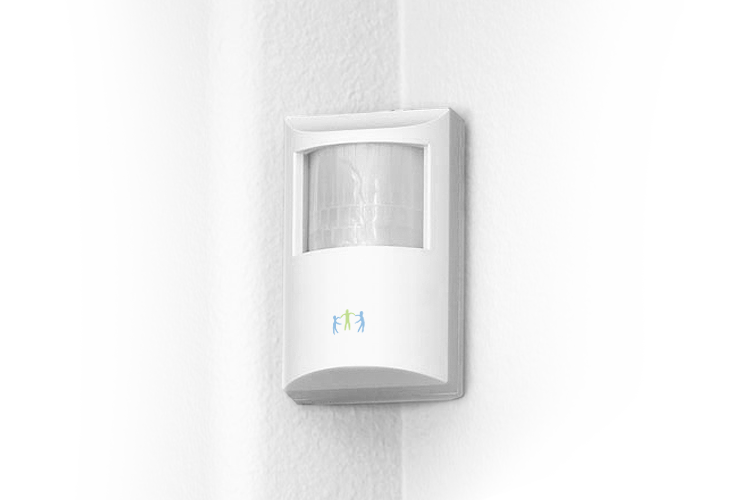 Ambio motion and door/window sensors can alert loved ones if there is activity when it’s not expected and if there is no activity when it is expected. Ambio makes it easy for people to track their health readings and share them with health care providers and loved ones to help keep them healthy and safe. Ambio provides health reading data when and how providers want it so they can more efficiently get the data they need to help keep patients healthy. 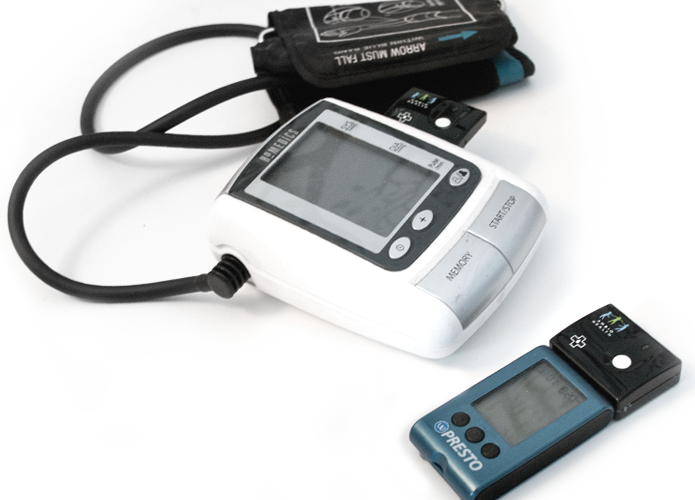 Ambio significantly reduces the cost of remote patient monitoring.